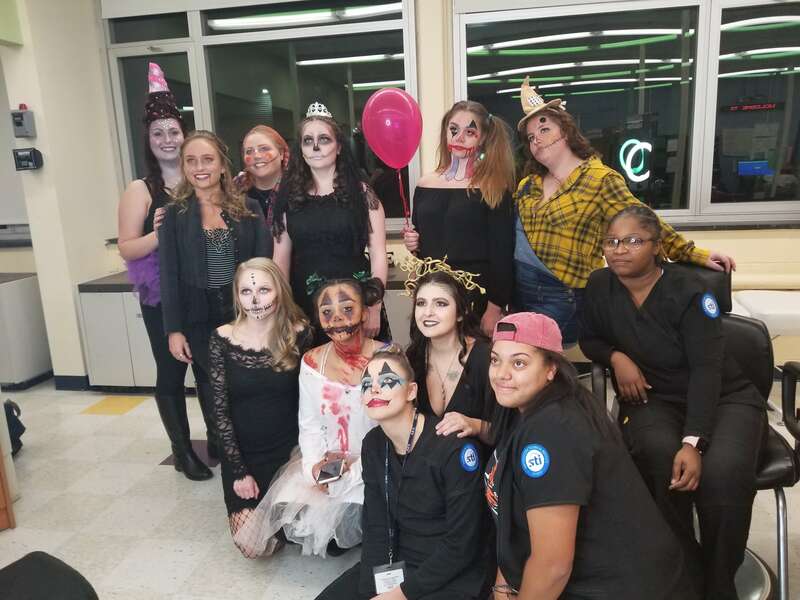 Every Halloween the STI Cosmetology students compete in a fun and creative costume contest. 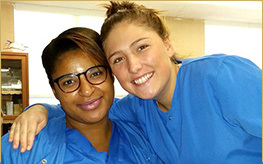 The students work together in pairs to design an innovative hairstyle along with a make-up application. Each student then votes on who has the best look and the winners (those who performed the application and up-do) receive a prize. Winner Breanna Williams received a curling iron and winner Joanne Hayes received a straightener. Congratulations and excellent effort by everyone! 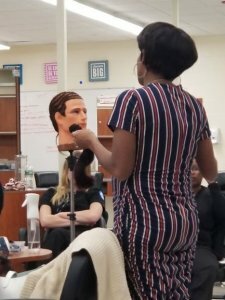 Outside presentations and demonstrations are an important part of the Cosmetology curriculum. 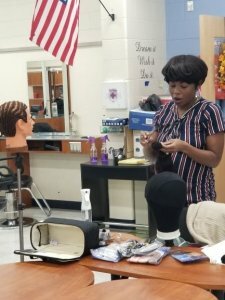 We would like to thank Shakeisha Thomas, an STI Alumni, for providing a demonstration on hair extensions.